Tuzla is the third-largest city of Bosnia and Herzegovina and the administrative center of Tuzla Canton of the Federation of Bosnia and Herzegovina. 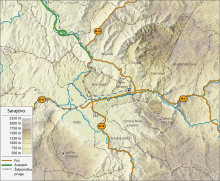 As of 2013, it has a population of 110,979 inhabitants. Travnik is a town and municipality and the administrative center of Central Bosnia Canton of the Federation of Bosnia and Herzegovina, an entity of Bosnia and Herzegovina. 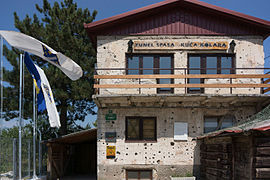 It is situated in central Bosnia and Herzegovina, 90 kilometres west of Sarajevo. As of 2013, town had a population of 16,534 inhabitants, while the municipality had 53,482 inhabitants. 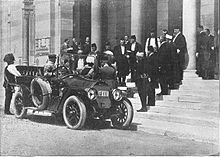 Ilidža is a municipality located in Sarajevo Canton of the Federation of Bosnia and Herzegovina, an entity of Bosnia and Herzegovina. 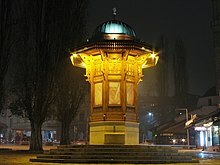 It has a metro population of 47,654 and is a chief suburb of Sarajevo and de facto its neighborhood. It is known for the natural environment of its surroundings and historical tradition dating back to neolithic times. 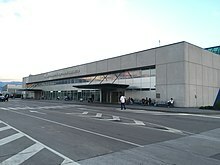 Sarajevo International Airport is located nearby, as is the Vrelo Bosne spring. Stari Grad is a municipality of the city of Sarajevo, Bosnia and Herzegovina. 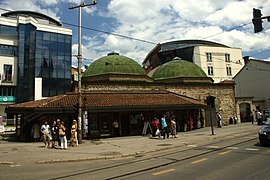 It is the oldest and most historically significant part of Sarajevo. At its heart is the Baščaršija, the old town market sector where the city was founded by the Ottoman general Isa-Beg Isaković in the 15th century. 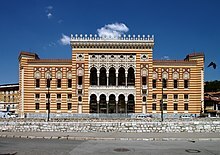 The Sarajevo Canton, officially the Canton of Sarajevo is one of 10 cantons of the Federation of Bosnia and Herzegovina in Bosnia and Herzegovina. Its cantonal capital is Sarajevo, also the capital city of Bosnia and Herzegovina. The Culture of Sarajevo is represented in various ways. Baščaršija is Sarajevo's old bazaar and the historical and cultural center of the city. 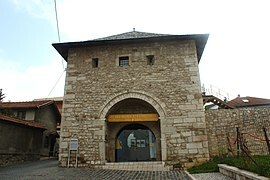 Baščaršija was built in the 15th century when Isa-Beg Isaković founded the town. 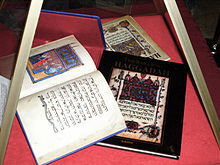 The word Baščaršija derives from the Turkish language. The word "baš" which is "baş" in Turkish literally means "head", in some contexts however also "primary", "main", "capital" and "čaršija" which is "çarşı" in Turkish means "bazaar" or "market". Due to the large fire in the 19th century, today Baščaršija is half the size that it once was. Teočak is a town and municipality located in Tuzla Canton of the Federation of Bosnia and Herzegovina, an entity of Bosnia and Herzegovina. 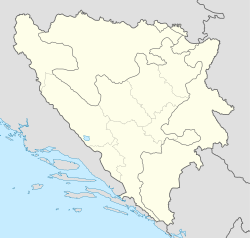 The Croatian Republic of Herzeg-Bosnia was an unrecognised geopolitical entity and proto-state in Bosnia and Herzegovina. 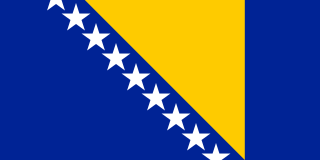 It was proclaimed on 18 November 1991 under the name Croatian Community of Herzeg-Bosnia as a "political, cultural, economic and territorial whole" in the territory of Bosnia and Herzegovina.